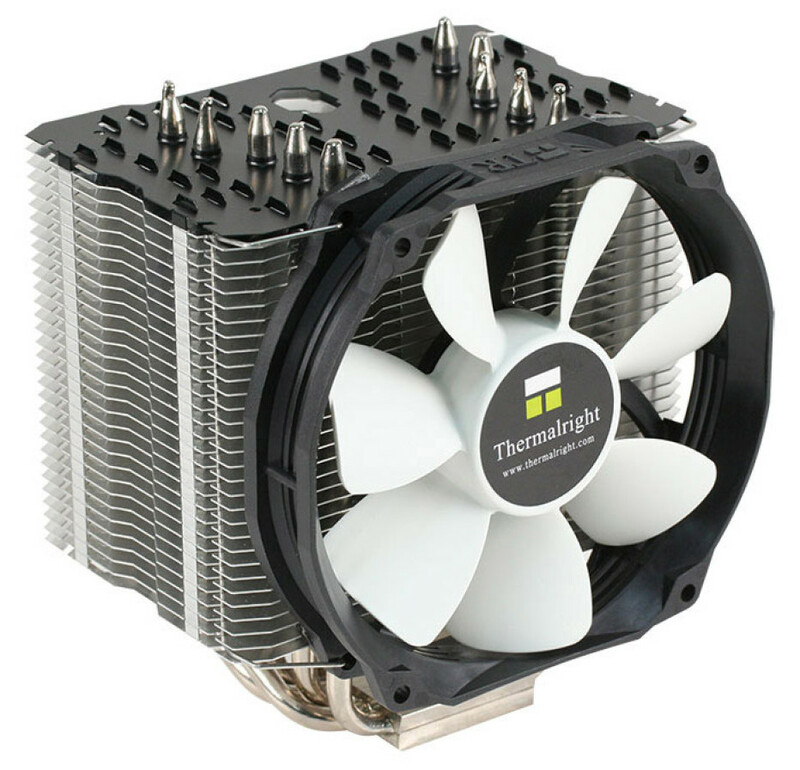 Thermalright has expanded its Macho line of CPU coolers with the addition of a new cooler called Macho 120 SBM. This cooler is a smaller version of the Macho 120 Rev.A model and is designed for use with mini-ITX and micro-ATX motherboards. Compared to the Macho 120 SBM, the width of the Macho 120 SBM has been reduced from 127 mm to 111 mm and the length has been increased by 10 mm to 130 mm. The height remains the same at 150 mm. The Macho 120 SBM consists of an aluminum fin heatsink that is large enough to passively cool processors with low power consumption but if this is not the case then the cooler has five 6 mm-wide U-shaped copper nickel-plated heat pipes and a Thermalright TY-127 cooling fan. The fan spins at 300-1300 rpm and pushes up to 55.79 cubic feet of air per minute at low noise levels. The new Macho 120 SBM cooler is compatible with all recent Intel and AMD processors (except AM1 in the case of AMD chips). The cooler also comes with the so called 1151 CPU Support Spacer for safe cooler installation on Skylake processors. The Macho 120 SBM can now be pre-ordered for EUR 38.